Guess what? Blog 4 actually went up on schedule! And with the release of the Beta branch for Continuum as well as a brand new Instagram page, we have a lot more things to talk about. For now, lets start off with whats been happening with Nova. So as you can tell from above, Nova Renderer is getting somewhere, now with proper transparent glass, water geometry, and being able to show different block-states properly like open and closed doors, cornered stairs, etc. David is also planning on switching back to a Vulkan renderer vs OpenGL 4.6, hoping to bring more benefits to multi-core processors. That's all for now on Nova, lets move on to Pulchra. The progress of Pulchra has been pretty odd so to speak. although many textures are complete, Josh wants to re-do or enhance a lot of them, as well as work on all of them at the same time instead of focusing on 1 texture, then moving to the next. The next update is anticipated to launch some time next month. 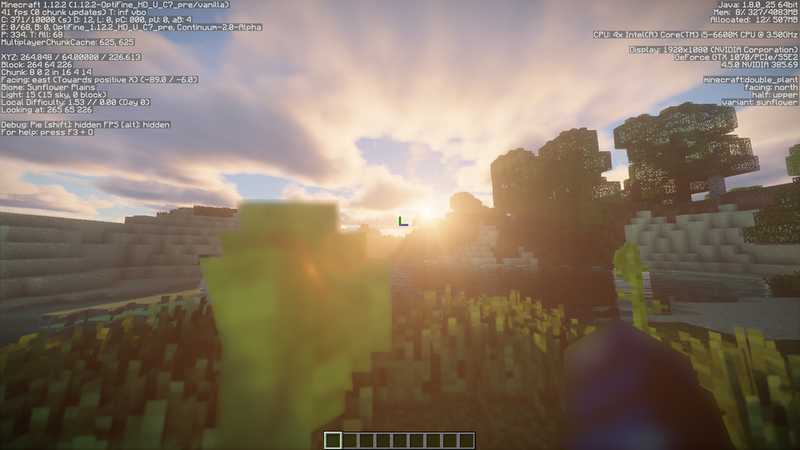 Beta 2 is due for launch tomorrow, with several optimizations to volumetric light and volumetric clouds as a whole. Although not as big as promised, I guarantee that we have something big in store coming soon. We have an Instagram account! Now you may be wondering, what would we ever do with an Instagram account? We have decided to host screenshot contests! In which you send us screenshots through any possible means such as Facebook, Discord, Instagram, etc. and we feature a winner every month! anyone with Tier 3 will win a $25 gift card to use on whatever they please. Any image editing will result in immediate disqualification, meaning that all mods and resource packs are fair game. That's just about all we have for this week, Check in on Halloween for a special update with Continuum.